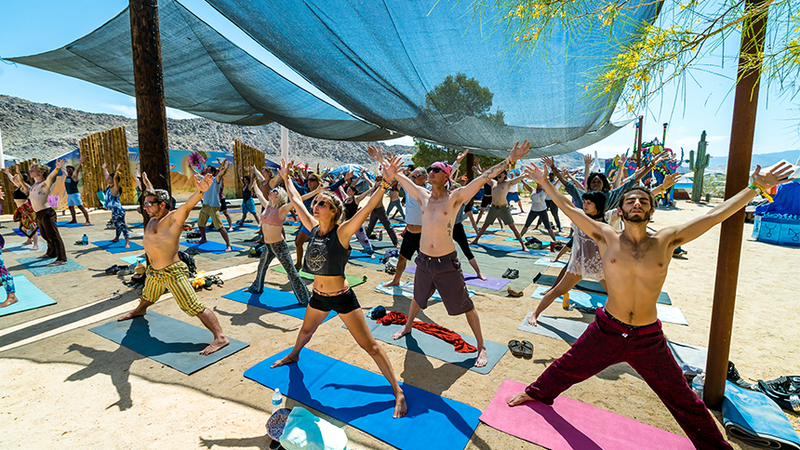 It might not have Beyoncé on stage or Leo DiCaprio in the crowd, but that’s just fine with fans of the Joshua Tree Music Festival, who show up for a lineup of indie international artists, culture, yoga, a family-friendly vibe, and the one aspect the festival prides itself on most: a sense of community. In another words, about as far from Coachella as you can get. Still, the little festival that could has been growing in popularity since it launched more than 15 years ago with 500 attendees. Today it takes place twice a year – with one four-day stint in spring and another in fall – at the Joshua Tree Lake Campground in the High Desert (about 45 minutes from Two Bunch Palms) and draws more than 4,000 people per weekend. The 13th annual fall festival takes place October 4 – 7 in the lakefront campground. 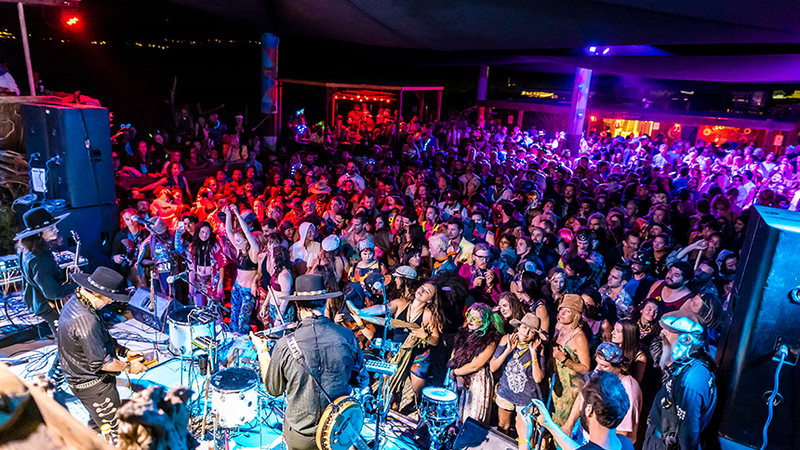 Attendees can expect a lineup spread out over two stages featuring more than two dozen musical acts ranging from local desert musicians like Jessika Von Rabbit and Giselle Woo and the Night Owls to international acts including British electronic-dance group The Egg and Mali superstar Fatoumata Diawara. 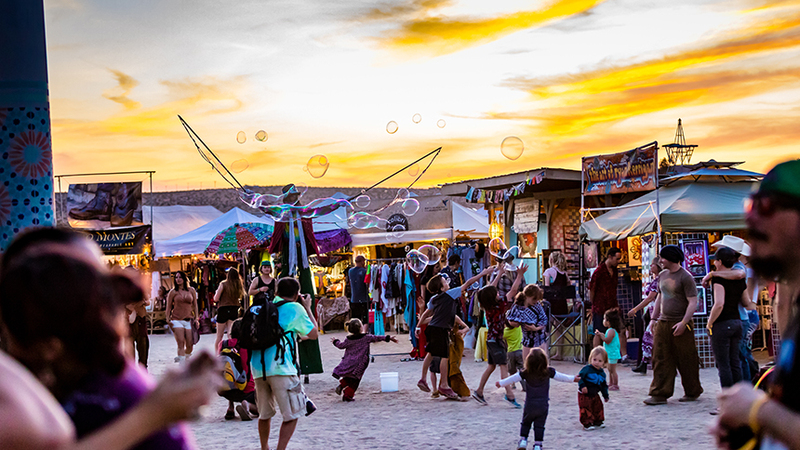 Music is certainly a major draw, but nearly as crucial is everything else that comes with the event: an artisan market, organic food purveyors, curated art throughout the grounds, and yoga classes that run from sun-up to sun-down. But the most unique aspect of the fest is the fact that organizers don’t just welcome pint-size patrons but go out of their way to make sure families have just as stellar of an experience as those without kids in tow. Children 10 and under get in for free while those 11 to 16 pay half price; a family camping area makes for built-in playmates and quieter afterhours; and there’s a full-on activity center in the middle of the festival grounds called Kidsville with a roster of puppet shows, dance classes, story times, and more. For a full-lineup and to purchase tickets, visit joshuatreemusicfestival.com.